Miss A's Suzy is featured in a new summer fashion campaign for MLB Korea. While she's modeled for the brand before, this new pictorial launches a fashion campaign for their 2015 S/S collection around "#IamAsuperfan." Suzy became a drama news fixture with the announcement of her relationship with Korean drama icon Lee Min Ho. She first branched into acting with 2011's "Dream High," which was soon followed by the sci-fi drama "Gu Family Book." See more shots and a behind-the-scenes video below! Check out MLB's new collection here! C-JeS Entertainment have confirmed that JYJ's Park Yoo Chun will begin his military service on August 27. The Korean singer and actor interacted with his fans at meetings on May 30 and 31 at Korea University's Hwajeong University. Yoo Chun turns 29 on June 4, soon to exit his twenties—a decade of massive professional success. At 20, he was midway through his TVXQ boy band career, locked in a long-term contract with SM Entertainment. Much of that changed in 2010, when at the age of 24, Yoo Chun and two other TVXQ members Kim Jae Joong and Kim Jun Su successfully ended legal proceedings with SM Entertainment. They helped establish the C-JeS Entertainment agency and formed the deliciously explosive K-Pop act, JYJ. The same year, Yoo Chun's acting career began to take shape, in the form of Japanese drama "Beautiful Love," alongside his Korean debut in "Sungkyunkwan Scandal." After a shower of nominations and awards for his debut dramas, the following years brought us "Miss Ripley," and "Rooftop Prince." Check out Park Yoo Chun in his latest role, as Choi Mu Gak in "The Girl Who Sees Smells." 06/05/15--10:51: Win a Signed Poster in Our "Falling For Innocence" Meme Contest! Caught up on the love, romance and comedy of hit K-Drama "Falling for Innocence"? While the show may have just ended, it's not too late to get in on the fun. Make an awesome meme and you could receive of an official "Falling for Innocence" poster—signed by the stars of the show! Enter and have a chance to receive a poster signed by Jung Kyung Ho, Yoon Hyun Min, and Kim So Yeon! Comments section of the “Falling for Innocence” Channel Page. Post the meme on the Comments section of the "Falling for Innocence” channel page with the hashtag "#VikiMeme." Users will like and reply to their favorite images. The five users with the most popular images based on likes will receive a signed “Falling for Innocence” poster. The most popular meme will be featured on Viki social media. The hashtag (#VikiMeme) must be included in the comment to be counted as an entry. Memes/images without the hashtag will not be counted. There is no limit on how many images can be posted by a user, BUT each image must be a separate post, so it can be liked individually. If there is a tie for the top image, the number of replies to a post will be the tie-breaker. Luciana, a 22-year-old law student, and her mother, Eliane, a 57-year-old college professor, have found a way to spend quality time together through Viki. The mother-daughter duo, who live in Rio de Janeiro, Brazil, discovered Viki last year when Luciana was looking online for a live-action version of a manga. Luciana got involved translating shows and has been a QC (Qualified Contributor) since last fall. She recommended that her mother watch a Korean drama, and Eliane has been hooked ever since. In their busy schedules, Luciana and Eliane now make time for Viki and love talking about what shows they have watched and what they should watch next. Below, Luciana, who goes by the nickname “Lulu,” tells us what Viki means to her and her mother. As for my mom, she decided to watch “A Gentleman’s Dignity” with me after I told her she would love it, and she did! She said she was curious to know why I looked so entertained. LOL! I speak Portuguese and English, but I also can understand Spanish (and write a little bit.) My mom also understands a little bit of Spanish and English. As much as I can! I simply love this community. Sometimes, I work as a Portuguese editor, translator or segmenter, and I enjoy working on designs for the Portuguese pages as well. What I like the most about Viki is the teamwork. I love how people interact with each other: always contributing, communicating and exchanging opinions about dramas, music and others. I also enjoy learning about new cultures and brushing up my English/Spanish knowledge! My mom enjoys the possibility to watch all the dramas she likes and she appreciates the variety and quality of the shows. It sure did! I always have a dictionary around me when I’m working on a drama or music video. I’ve learned many new idioms! My skills also improved from talking with other Viki users ^^. My mom has improved her Spanish, because occasionally she watches dramas in Spanish. A huge “yes” to answer this question. With such amazing people it would be impossible not to make friends. My first acquaintance was mariju93, since she offered to help translate “Faith” into Portuguese. After that, many followed! I’ve met our dear kakashiandme, lupita, mafalda, VictoriaSi, meann, and so many more! All of them helped me a lot and I’m really thankful for that. I think we need a lot of love in this world, so my favorite genre is romance. LOL! For my mom, it’s romances with happy endings (of course, we are compatible, after all!). Hahahaha. I’m still deciding on that … but “I Hear Your Voice” just popped into my head, so I will choose this one for now. For my mom, compatibility again! Even though I didn’t tell her my answer, it was the same. She mentioned “I Hear Your Voice” (and “Personal Taste” too). Thanks to Luciana for sharing this incredible story, and for all of the hard work she's put into making Viki a better place. Stay tuned in the future for more Community Spotlights! 06/09/15--14:38: Viki Announces 2015 Global TV Awards! Viki is proud to announce the first Global TV Awards! In association with Variety, this will be the first awards show of its kind—celebrating the world's greatest achievements in TV, film, and artistry as recognized by fans in more than 200 countries. The event will take place on Saturday, September 12, at the Orpheum Theatre in Los Angeles, California. The host for the evening will be actor Randall Park, who you may recognize from the critically-acclaimed ABC series "Fresh Off the Boat," and the blockbuster comedy movie "The Interview." The launch was announced on stage during TUNE IN: Variety's TV Summit 2015, the popular annual event spotlighting what's new in the TV industry. "Viki represents an exciting part of the future of digital entertainment: global content, highly engaged viewers, any device. Basically, no barriers," said Executive Editor Steven Gaydos, Variety. "We started TUNE IN so that leaders in our industry can get together to discuss, learn, and explore the future of entertainment; the Global TV Awards is an extension of this mission, and we're excited to be a part of its inception." Tickets for the 2015 Global TV Awards will go on sale in July through Ticketmaster, so mark your calendars! Nothing can compare to that first grade school romance. The awkward, shoe-gaze lust and saccharine, cliche dates are like old mix CDs that (very privately) hold a special place in our hearts. School dramas let us relive those moments, one emotional scene at a time. Pull out the Kleenex, here are some of our favorite phrases from our favorite school dramas and movies, certain to make you swoon. What's your favorite school drama quote? Let us know in the comments! 06/17/15--11:02: Take Our T-Drama Challenge & Win! Calling all drama buffs! Think you know your Taiwanese dramas? Test your knowledge here, and you could win one of five photo-card sets, featuring signed official photo-cards from the daily drama “Dear Mom” and the popular romantic drama, “Someone Like You”! Answer our "Someone Like You" and "Dear Mom" quiz below. Get all of the questions correct, and you’re eligible to receive the signed cards! Out of the eligible participants, five winners will be chosen at random. Each winner will receive two signed photocards, one of "Dear Mom" and one of "Someone Like You." Users can only submit one entry per email address. Ready? Take the quiz below! 06/17/15--17:50: 'Innocent Lilies 2' Is Coming To Viki! The hit Japanese show "Innocent Lilies" is back for another season! We're excited to see what's in store this time around. TV Asahi and Toei, the two entities behind Kamen Rider and Power Rangers, will be releasing the second season simultaneously with the theater release on June 13. Let's take a look at the actors behind "Innocent Lilies 2." The cast is comprised of Dempagumi, a six member idol group. 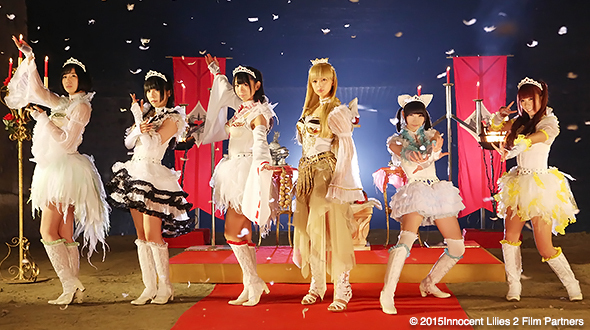 Dempagumi formed in 2008 and gained popularity after "Innocent Lilies" aired in 2013. The main character in this series will be Moga Shiratori (Moga Mogami), a girl with deep scars in her heart who attempts to save the world as a White Witch. The other members of Dempagumi will be playing characters with same first names but different last names. The members of Dempagumi are not only the actors for the series and movie, but also provide the theme song "Brand New World" from their new album "WWDD." 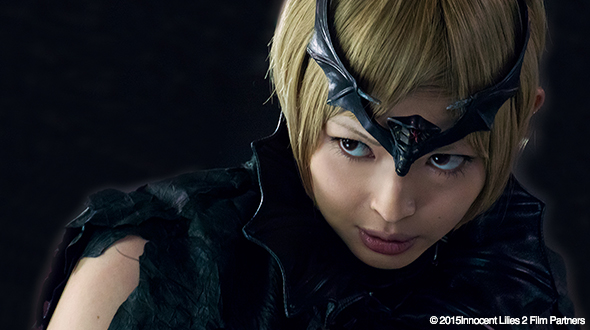 Moga Mogami gave a message to Viki fans about the upcoming series. Are you excited for "Innocent Lilies 2"? What was your favorite moment from the first season? Let us know in the comments below, and don't forget to watch! 06/22/15--03:32: Happy Birthday Lee Min Ho! International superstar Lee Min Ho celebrates his 28th birthday today! The actor/singer/model has had a whirlwind of a career ever since his break-out role in Boys Over Flowers, and is now a bonafide A-lister, not to mention ULTRA-hottie. To celebrate Lee's birthday, we found some fun facts about the multi-talented performer. 2. The first thing he does in the morning is feed his miniature pinscher "Choco," who apparently has a wardrobe worthy of Coco Chanel. Lucky dog! 3. All thanks to his role in City Hunter, Lee Min Ho's popularity in China shot up and he was even invited as the first Korean celebrity to perform on China's CCTV Lunar New Year Gala, an honored and prestigious event. 4. The illustrious Madame Tussauds in Shanghai unveiled a wax figure of him wearing a dapper black suit, which took 10 months to carve. That's almost too much handsome for one place! 5. His enormous popularity in China has earned him some interesting nicknames, including "Older Brother,""Big Cutie," and "Long-Legged Oppa." 6. He was once in a serious car accident that landed him in the hospital for a year! Fortunately, he bounced back nicely. 6. In the future, he would like to have a daughter. Apparently, he thinks they'd make for better children. Good choice! 7. He believes in love at first sight! Sigh, a true romantic. Just like Kim Tan in Heirs! What do you like best about birthday boy Lee Min Ho? Share with us in the comments! Food + dramas = a match made in heaven—one that could rival any celebrity OTP. While we're fans of the lovey-dovey scenes, if our favorite 오빠 (oppa,) 언니 (unnie,) 형 (hyung,) or 누나 (noona) is having an on-screen food broadcast, or 먹방 (meokbang,) our eyes are guaranteed to be transfixed with stomachs growling! Like its 2013 predecessor, "Let's Eat Season 2" showed us the diverse and delectable world of Korean cuisine—and we want to eat all of it (yes, all of it.) Check out our top five dishes below, complete with how to order your favorite dishes in Korean! 06/25/15--00:37: 6 Awesome (and True!) Facts about Birthday Boy Rain! As one of the most recognizable faces in hallyu, Rain has built himself quite the career. In honor of the “She’s So Loveable” star’s 33rd birthday, here are six fun facts about this all-around entertainer. 2. Rain’s no stranger to Hollywood, starring in films like "Ninja Assassin" and "The Prince," and even snapping pics with Hollywood heavy-hitters like Julianne Moore and Hugh Grant. 3. He’s been in one of history’s greatest dance-off’s, battling American icon Stephen Colbert in "Dance Dance Revolution." 4. Though he left JYP entertainment in 2007, Rain is still close to his former label-mates, pausing for a photo with Park Jin Young and “first-generation idol group” g.o.d. at the latter’s 15th anniversary reunion concert. 5. Although he and girlfriend Kim Tae Hee are known for their impact in the entertainment world, the two also have a penchant for real estate. The combined total value of their properties is about $34.7 million! 6. There's another young lady who's stolen a piece of Rain’s heart: the ultra-cute Choo Sarang! Rain met the popular prodigy on a Korean reality show, trying to woo her with gifts. Sarang eventually warmed up to the megastar, letting him take an adorable selca with her! What do you love best about birthday boy, Rain? Let us know in the comments below! 06/27/15--18:00: Happy 37th Birthday to the Incredibly Talented Ha Ji Won! Ha Ji Won, the female lead in upcoming Korean drama "The Time I've Loved You," turns 37 this Sunday. Here's a quick primer on some of her many accomplishments during her incredible career so far. "Ha Ji Won's Secret"sold out in Japan earlier this year. The photo book uses images and videos to visually track the progression of her career, from fledgling talent to award-winning actress. This work is preceded by her essay 2013 collection "This Moment." Ha Ji Won has won some form of an award every year since 2000! This includes many SBS drama awards, including four for "Secret Garden" alone. She's been nominated for nine different Baeksang Awards over her career (including last year, for her performance in "Empress Ki") and has won four of them. In addition to donating to a number of charities, she donated some of the proceeds from "This Moment" to a children's aid group. In October 2011, Ha Ji Won joined her fans in delivering coal and food to an isolated, rural Korean village not covered by government subsidies. She's even donating her cornea! Ha Ji Won released"You Are My Joy," her first self-composed song last week. This isn't her first foray into music, Ha Ji Won released a debut album, "Home Run," in 2003. The title track featured Psy, and was used in the soundtrack for her movie "Reversal of Fortune." Don't forget to check out "The Time I've Loved You" June 27th, on Viki! Can't wait to see more Ha Ji Won? Let us know in the comments below! Taiwanese actress (and perennial Viki fan favorite) Puff Guo turns 27 on June 30. If you're not sure who she is and why she's internationally famous, you've probably been living under a very large rock somewhere in the Western Hemisphere since about 2011. But don't panic, there's still time to appreciate her artistry—here's a quick look at what puffs up Puff! You can be the judge of Puff Guo's beauty...or you can let the editors over at FHM Taiwan be the judge. It turns out they've nominated her as the Sexiest Woman for three years in a row! Since Puff Guo's group "Dream Girls" signed a record deal in 2011, she has become a K-Pop fixture. Check out Dream Girls' 2013 collaboration performance with T-ARA at M Countdown Ni Hao Taiwan, above! While Puff Guo debuted in the 2011 hit drama "Inborn Pair," fans outside of Taiwan will recognize her in last year's "We Got Married Global Edition Season 2" where she was paired with Super Junior's Heechul! In between those shows, she built her reputation as a leading lady in "Just You" with co-star Aaron Yan and "Love Myself or You" with co-star Jasper Liu. 07/07/15--10:00: Viki Is Now Available on Roku, Win A Roku 3! Great news—Viki is now available on Roku! Viki adds to Roku's lineup of 2,000 streaming entertainment channels available in the U.S. and offers primetime global TV shows and movies to Roku customers for free, supported only by ads. You can find us in the Roku Channel Store. Head over to TechnoBuffalo for a chance to win a Roku 3! "I will never, ever fall in love with you." If you're caught up on your drama news, you may know this as an iconic conversation between the two leads of "The Time I've Loved You," remake of Taiwanese hit drama "In Time With You." In the new remake, Ariel Lin and Ha Ji Won play women who have just reached 30, and are finally feeling the strain of their age. While adjusting to post-twenty-something life, they meet a handsome young guy (Infinite's L) who starts showing interest in both ladies. Aroused with the possibility of young love, they become tangled in an ambiguous noona-dongsaeng relationship. Looking to pick up some thirty-something cougars who are looking for a nice young man? Here's a quick look at the strategy employed by L and David Hsu! Interested in seeing how the relationships progress? Favorite the channels for new episodes! 07/14/15--15:22: A Not So "Lonely Gourmet": How to Order 5 Delicious Taiwanese Dishes! There's no doubt that dramas have taken the phrase "eating with your eyes" to a new level. Series like the popular Taiwanese show "Lonely Gourmet" feature tasty local dishes week after week, making us salivate. The show takes us on a culinary journey through Taipei via Wu Lang (Winston Chao). Unfortunately, we can't all dine like Wu Lang, so below are five of our favorite Taiwanese dishes—complete with how to (and where) to order them! 07/22/15--10:59: Show Us Your Favorite "I Order You" Moment & Win! Caught up on the charming web series, 'I Order You'? If not, this is your chance! Not only do you get to binge-watch an awesome series (and U-Know Yunho's last before enlistment! ), but you also have the chance to win a signed poster and pamphlet from the show's main cast! Choose your favorite moment from any episode of “I Order You” and screencap it. Post the image on the Comments section of the “I Order You” channel page, including the episode number plus the event hashtags: #IOrderYouBestMoment and #VikiGiveaway. Winners will be chosen based on the number of upvotes/likes. Only registered Viki users can participate. Users can submit one scene per day. Users referred from fan-sites must include designated hashtag, #WeAreTVXQ or #TVXQFrance. Six winners will be chosen from the referred fan-sites, eight winners will be Viki users. The most “liked” scene will be made into a GIF and shared on Viki’s social media pages the week after the event. Already have a moment in mind? Don't hesitate to send them in! 07/22/15--14:37: Be One of This Summer's "Viki Top 150" and Get a Limited-Edition Badge! Join the fun of volunteering and be one of this summer's “Viki Top 150”! From the last week of July through the first week of August, be one of the top 150 volunteers, and you’ll receive one of our special, limited-edition badges to display on your profile page! Badges will be distributed the week of August 9th. Help subtitle or segment* any video. 150 users with the most contributions during the event period will receive a special, limited-edition badge. The top 100 subtitlers will receive one of three badges, based on number of contributions. The top 50 segmenters will receive one badge. Need a refresher on how to volunteer? Watch our tutorial videos on subtitling or segmenting. Get tips from our Volunteering discussion board. Head over to Project Finder on the Community page, the Project Board, or the top of your profile to find a video that needs your help. As a courtesy, message the Channel Manager or respective language moderator to let them know you’re interested, and get started! Segmenting (setting the timing of the subtitles) and captioning (creating subtitles in the show’s original language) are great ways to contribute. Check out the top of your profile for video recommendations! Inappropriate subtitling, including using a translator program (i.e. Google Translate) or copying subtitles from a non-Viki source, is strictly prohibited, and a violation of the Viki Community Guidelines. Such behavior will lead to disqualification. If you notice that the subtitling guidelines are violated, please notify us, and our team can look into the matter. 07/28/15--17:53: Exclusive Interview With Danson Tang! Danson Tang, male lead of the hit Taiwanese drama "Murphy's Law of Love", has been a hot topic for Taiwanese drama fans due to his sweet moments with Ivelyn Lee. We thought it'd be a great time to get to know him more, so we asked everyone to submit questions on social media—here are the answers you've been eagerly awaiting. He even sent us a selfie of himself while answering the questions! Haven't watched Danson Tang in "Murphy's Law of Love" yet? Binge-watch all 19 episodes on Viki right now! 08/18/15--16:21: Win A Signed Poster From The K-Drama “My Love Eun Dong”! Calling all “My Love Eun Dong” fans! This is your chance to win an official poster, signed by Joo Jin Mo and Kim Sa Rang! All you have to do is show us your favorite "My Love Eun Dong" moment, and you could win! Choose your favorite moment from any episode of “My Love Eun Dong” and screencap it. Post the image on the Comments section of the “My Love Eun Dong” channel page, including the episode number plus the event hashtags: #MLEDBestMoment and #VikiGiveaway. Five winners will be chosen based on the number of upvotes/likes. There is no limit on the number of daily submissions. Adding to the fun, check out Joo Jin Mo, Kim Sa Rang and Kim Ah Joong's celebrity pages, where you can take your pick for Joo Jin Mo's best on-screen leading lady (Note: participating in the poll does not count towards the giveaway)! Need some inspiration? Check out these awesome "My Love Eun Dong" photos! Have a moment in mind? Don't hesitate to send them in!